Thermo Packaging Suppliers inc. is dedicated to our customers. 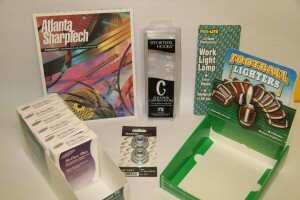 We have proudly served the packaging industry for 50 years. Please review the services we offer and Contact us with any questions you may have. Our experienced staff is excited to assist you. Our more than 50 years experience in the same industry makes us one of the oldest- if not the oldest of the visual packaging suppliers in the country. Our customers cover virtually every important retail sector of the economy. Through two generations of leadership in this industry, Thermo Packaging has developed a comprehensive understanding of the packaging trade and its unique requirements. We supply high-quality visual packaging to a full spectrum of markets- medical, sports, recreation, hardware, plumbing, automotive, fashion- cosmetics, electronics, house wares, and many more. Other than the product itself, there is nothing more important than the package that contains your product. It’s the marketplace image of your company. It has to look right, hold up to the distribution process, be competitively priced, and have the integrity that you demand. Thermo Packaging knows how to stretch your purchasing dollar. Combination runs, dedicated runs, long or short runs, Thermo Packaging controls all aspects of production. This may be one of yours, and ours biggest advantages. We are equipped to handle the entire process of production from start to finish under one roof. THERMO PACKAGING has print, and color match capabilities. Plate making, desktop publishing, file share, and file editing capabilities right in house. This expedites delivery, enhances our control over quality, and eliminates embarrassing surprise, and delays. Die cutting, gluing, and coating are also done in our plant in order to maintain the professional quality you deserve.